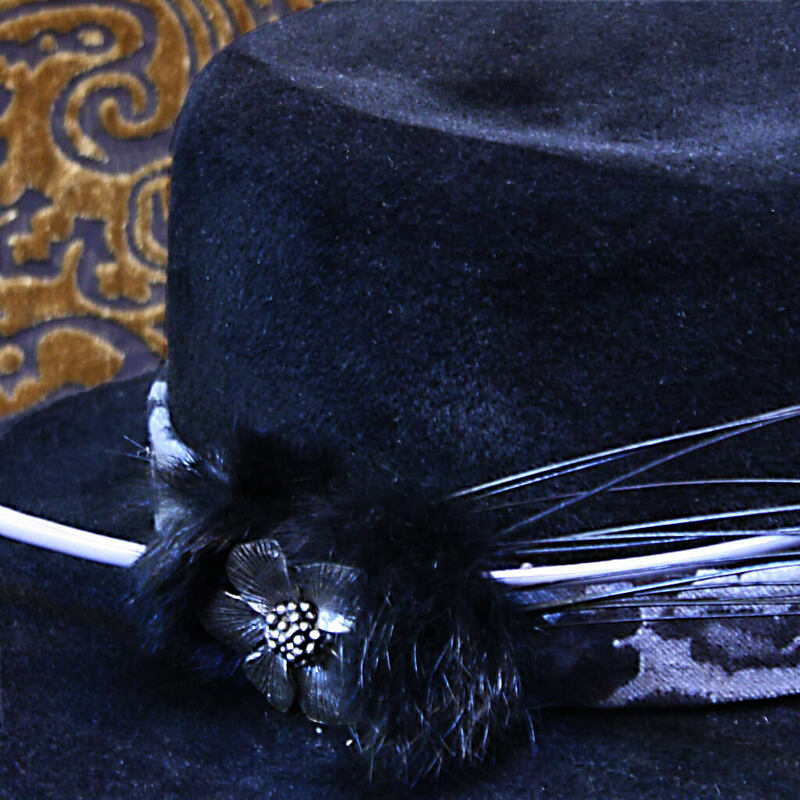 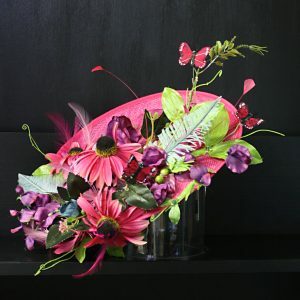 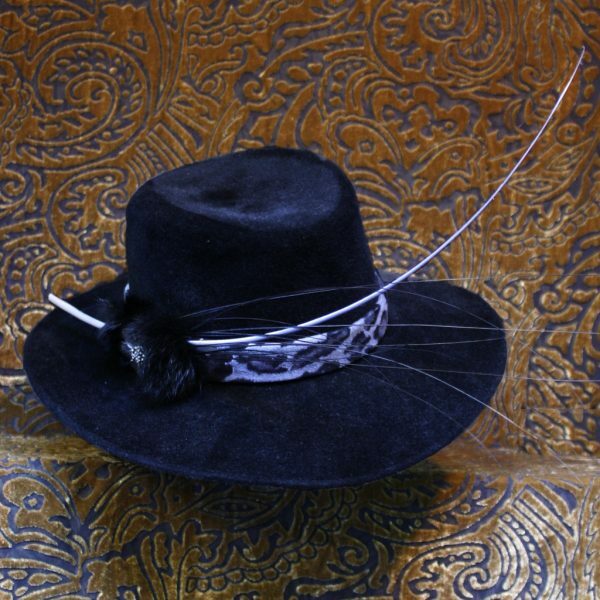 A Beautifil black peachbloom felt hat. 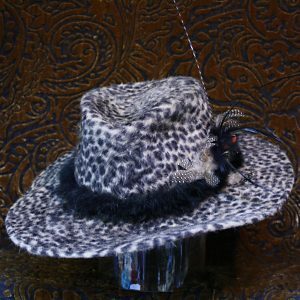 trimmed with a grey leopard-print velvet band and feathers. A peachbloom felt has a soft, velvety pile.